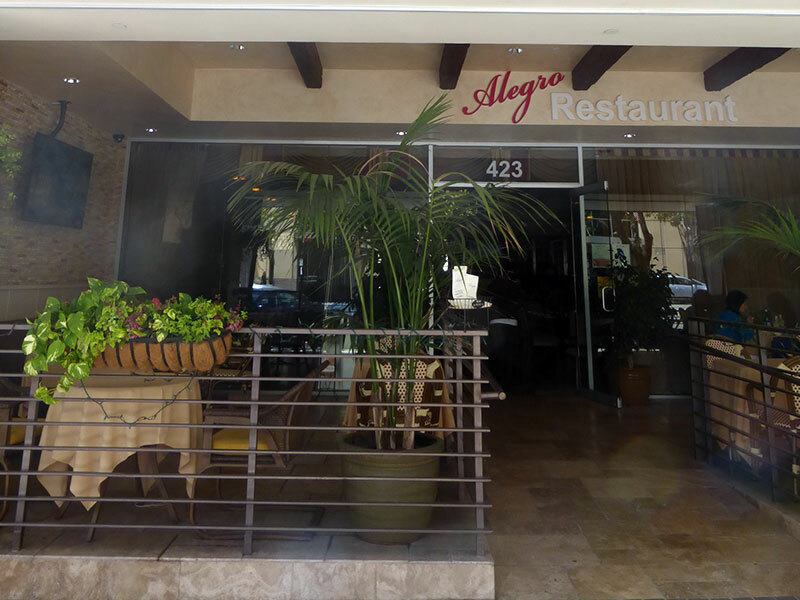 Alegro is a Mediterranean-influenced restaurant located conveniently in downtown Glendale’s Brand Blvd. Serving up a variety of dishes ranging from chicken, salads to sandwiches, we cater to everyone on the hunt for the perfect lunch spot. Currently only open for lunch, we can serve as your new go-to spot for that 12 o’clock craving. With dinner soon to come, experience an extensive list of gourmet specialties like Filet Mignon, Chicken Bellagio and Sea Bass, accompanied by live music in the evenings. Alegro Restaurant features two distinct event spaces available to book for dining reservations or private events. The Alegro Restaurant first floor space is chic in mediterranean influence. We strive to provide the pinnacle of entertainment on Brand Blvd, by bringing its entertainment closer to its diners in an intimate experience not to be replicated. From stage to dance floor to table, experience dining in a whole setting. Located upstairs is Alegro Lounge, featuring an outdoor patio, cabana, and hookah lounge.